The states of NY, CT, IL, NJ, NH, DE and MN restrict the sale of syringes and needles to licensed professionals and entities. 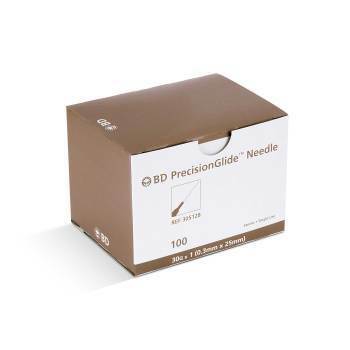 BD 305128 PrecisionGlide Needle, 30G x 1", Regular Bevel, Sterile, 100/BX Picture used for graphic representation only actual product may differ The states of NY, CT, IL, NJ, NH, DE and MN restrict the sale of syringes and needles to licensed professionals and entities. By proceeding to purchase through our website, you acknowledge that you are over 18 years of age.